Carpet cleaning in Southport should be regularly conducted to ensure the health, safety and well-being of all your family members. Xtra Mile Carpet & Pest Management helps your family minimise these difficult tasks by completing a house-wide clean. We respect your household in Southport and will always complete our work to the highest quality of standards. We pride ourselves in the way we offer our carpet cleaning services by ensuring our jobs are always completed in a safe, efficient and effective manner. Our team of friendly carpet cleaning specialists will be in and out of your household before you know it. If you have any extra carpet cleaning services which aren’t listed, please feel free to call us. Don’t wait for your Southport home to be infested. Take the initiative and get in touch one of our friendly staff. Call us on 0429 110 047 for a safe, affordable and effective carpet cleaning in Southport today. A professional Southport carpet cleaning service will ensure that you get the best result possible from your next clean. Here at Xtra Mile, we use the latest equipment and techniques to remove the most stubborn stains, dirt and grime from your carpets, leaving them like new. Each carpet is slightly different and it requires a professional’s expertise (like our trained technicians), to ensure that no damage is done during the cleaning process. 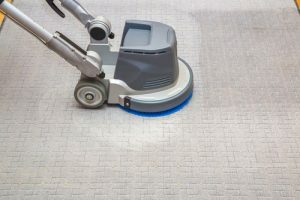 Although it might be tempting to pursue the DIY line when looking for a Southport carpet cleaner, it’s simply not worth the risk. If you make a simple mistake you can destroy your carpets, and ordinary home insurance in many cases won’t cover the damage. Here at Xtra Mile Carpet Cleaning we are fully insured against all damage, in the unlikely event that it occurs, so you can sleep easy knowing that your home is in safe hands. How Often Do You Need Your Carpets Cleaned? Carpet cleaning should be done on a regular basis. Carpet Manufacturers recommend an annual clean, which helps maintain the life of your carpet, as well as helping to maintain the health of your family. Out of the many Carpet Cleaners in the area why not try a family owned and run business who understands how important your family is with a 14 day money back guarantee. That’s how confident we are in the quality of our Southport Carpet Cleaning service. We also offer our rug cleaning service all around the Southport Region. Call us for a FREE quote for your Southport carpet cleaning needs on 0429 110 047 today! Do You Have a Flea Problem in Your Home? Why is seasonal pest control and carpet cleaning best done together?